This course explores the work of H.P. Lovecraft and his impact on literature and popular culture. Students will study the foundations of Lovecraft's writing, the meaning behind his works, along with his cosmic vision and legacy. What inspired Lovecraft’s imagination? How has Lovecraft’s work impacted popular culture today? In tales such as “The Call of Cthulhu” and At the Mountains of Madness, H.P. Lovecraft – the disciple of Poe and the champion of the Weird – pioneered a new kind of fiction. 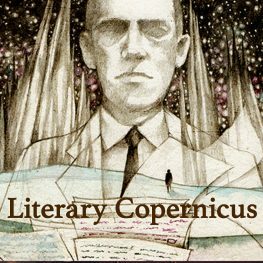 Fueled by an astronomer’s insights and an antiquarian’s aesthetic, Lovecraft turned his readers’ focus “from man and his little world and his gods, to the stars and the black and unplumbed gulfs of intergalactic space,” leading author and critic Fritz Leiber, Jr. to dub him “A Literary Copernicus.” More than seventy-five years after Lovecraft’s death, his path-breaking work is more popular and influential than ever. Join award-winning scholar Dr. Amy H. Sturgis as she explores Lovecraft’s stories and the meaning behind them, the shared universe of his mythos, and the lasting impact of his cosmic vision on the contemporary landscapes of literature and popular culture. Note: Alternate editions of H.P. Lovecraft’s collected works may be accepted in consultation with the preceptor (e.g. Penguin editions edited by S.T. Joshi). Additional titles will be made available online. Course artwork adapted from an original illustration by Elia Fernández. Used with permission. All rights reserved.